Here's a great deal on a 2000 Buick LeSabre! You'll appreciate its safety and technology features! This 4 door, 5 passenger sedan provides exceptional value! Top features include front bucket seats, air conditioning, rain sensing wipers, and power windows. A 3.8 liter V-6 engine pairs with a sophisticated 4 speed automatic transmission, and load leveling rear suspension maintains a comfortable ride. Our sales reps are knowledgeable and professional. They'll work with you to find the right vehicle at a price you can afford. Stop in and take a test drive! Outstanding design defines the 2003 Kia Sorento! 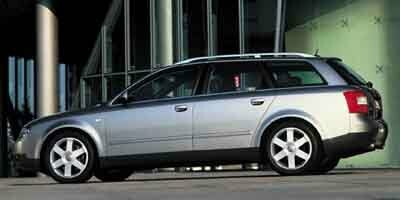 This is a superb vehicle at an affordable price! 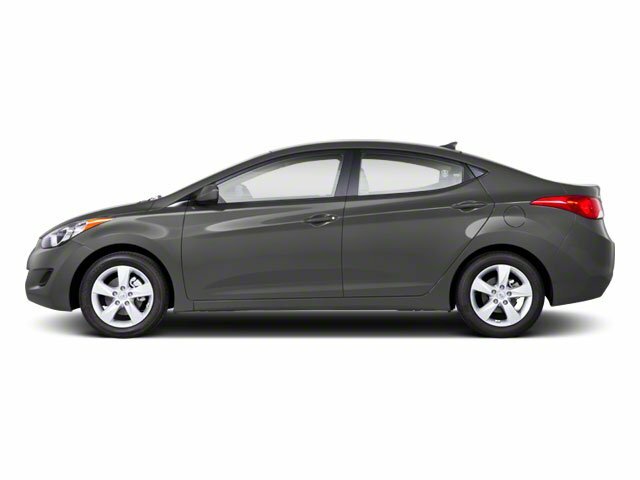 All of the following features are included: front bucket seats, cruise control, and a split folding rear seat. A 3.5 liter V-6 engine pairs with a sophisticated 4 speed automatic transmission, providing a smooth and predictable driving experience. Four wheel drive allows you to go places you've only imagined. We pride ourselves on providing excellent customer service. Stop by our dealership or give us a call for more information. Check out this gently-used 2001 Toyota RAV4 we recently got in.This 2001 Toyota RAV4 comes with a CARFAX Buyback Guarantee, which means you can buy with certainty. If you're in the market for an incredible SUV -- and value on-the-road comfort and manners more than ultimate off-road prowess or tow capacity -- you'll definitely want to check out this Toyota RAV4 .With 4WD, you can take this 2001 Toyota RAV4 to places roads don't go. It's all about the adventure and getting the most enjoyment out of your new ride. You've found the one you've been looking for. Your dream car. CARFAX 1-Owner. BLACK exterior and FB41 interior, RAV4 trim. EPA 27 MPG Hwy/22 MPG City! Sunroof, 4x4, Alloy Wheels, CD Player, L PKG, ROOF RACK, (4) SPLIT 16 5-SPOKE ALUMINUM WHEELS... PWR MOONROOF, KEYLESS ENTRY. 4 Star Driver Front Crash Rating. CLICK NOW!KEY FEATURES INCLUDECD Player Toyota RAV4 with BLACK exterior and FB41 interior features a 4 Cylinder Engine with 161 HP at 5700 RPM*.OPTION PACKAGESL PKG heated color-keyed mirrors, leather steering wheel/shift knob, fog lamps, rear privacy glass, tonneau cover, color-keyed door handles, color-keyed spare tire cover, color-keyed bumpers/moldings, PWR MOONROOF, (4) SPLIT 16 5-SPOKE ALUMINUM WHEELS aluminum wheel caps, KEYLESS ENTRY, ROOF RACK. 4x4, Steering Wheel Controls.VEHICLE REVIEWS4 Star Driver Front Crash Rating. 4 Star Passenger Front Crash Rating.BUY WITH CONFIDENCECARFAX 1-OwnerMORE ABOUT USStop by Larry H. Miller Toyota Boulder and check out the beautiful selection of new and pre-owned vehicles with amazing pricing/ financing options. Our no-pressure, non-commission Toyota-trained Sales team will help you find the perfect new or pre-owned car for your Colorado lifestyle. We are located at 2465 48th Ct, Boulder, CO 80301. (Off Foothills Pkwy and Pearl Pkwy)Horsepower calculations based on trim engine configuration. Fuel economy calculations based on original manufacturer data for trim engine configuration. Please confirm the accuracy of the included equipment by calling us prior to purchase. EPA 28 MPG Hwy/22 MPG City! Outback 2.5i trim. Heated Seats, CD Player, Alloy Wheels, All Wheel Drive, KBB.com explains Legacy's passenger cabin conveys a solid sense of refinement.. 5 Star Driver Front Crash Rating. SEE MORE!KEY FEATURES INCLUDEHeated Driver Seat, CD Player, Heated Seats Rear Spoiler, All Wheel Drive.EXPERTS ARE SAYINGA family car that does a nice impression of a sport sedan, the Subaru Legacy is a lot of car for the money. -Edmunds.com. 5 Star Driver Front Crash Rating. 5 Star Driver Side Crash Rating.BUY FROM AN AWARD WINNING DEALERStop by Larry H. Miller Toyota Boulder and check out the beautiful selection of new and pre-owned vehicles with amazing pricing/ financing options. Our no-pressure, non-commission Toyota-trained Sales team will help you find the perfect new or pre-owned car for your Colorado lifestyle. We are located at 2465 48th Ct, Boulder, CO 80301. (Off Foothills Pkwy and Pearl Pkwy)Fuel economy calculations based on original manufacturer data for trim engine configuration. Please confirm the accuracy of the included equipment by calling us prior to purchase. EPA 25 MPG Hwy/22 MPG City! Clover Green Pearl exterior and Gray interior, LX trim. 4x4. 4 Star Driver Front Crash Rating. CLICK NOW!KEY FEATURES INCLUDE. Honda LX with Clover Green Pearl exterior and Gray interior features a 4 Cylinder Engine with 146 HP at 6200 RPM*. 4x4, Child Safety Locks.EXPERTS CONCLUDE4 Star Driver Front Crash Rating. 5 Star Passenger Front Crash Rating.OUR OFFERINGSStop by Larry H. Miller Toyota Boulder and check out the beautiful selection of new and pre-owned vehicles with amazing pricing/ financing options. Our no-pressure, non-commission Toyota-trained Sales team will help you find the perfect new or pre-owned car for your Colorado lifestyle. We are located at 2465 48th Ct, Boulder, CO 80301. (Off Foothills Pkwy and Pearl Pkwy)Horsepower calculations based on trim engine configuration. Fuel economy calculations based on original manufacturer data for trim engine configuration. Please confirm the accuracy of the included equipment by calling us prior to purchase. Only 152,461 Miles! Boasts 19 Highway MPG and 14 City MPG! 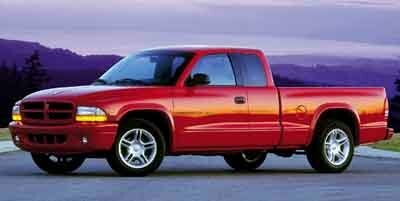 This Dodge Dakota delivers a Gas V8 4.7L/287 engine powering this Automatic transmission. Variable intermittent windshield wipers, Tinted glass, Sunscreen glass on rear windows. *This Dodge Dakota Comes Equipped with These Options *Rear anti-lock brakes, Pwr rack & pinion steering, Pwr front disc/HD rear drum brakes-inc: rear anti-lock, P235/75R15 all-season SBR OWL tires, NV231HD 2-speed synchronized transfer case w/shift-on-the-fly, Independent front suspension, High strength 30,000 PSI carbon steel frame, HD front/rear shock absorbers, Full floor carpeting, Front stabilizer bar. * Visit Us Today *Live a little- stop by Larry H. Miller Dodge Ram Havana located at 2727 S Havana St, Denver, CO 80014 to make this car yours today! Only 143,615 Miles! Scores 17 Highway MPG and 13 City MPG! 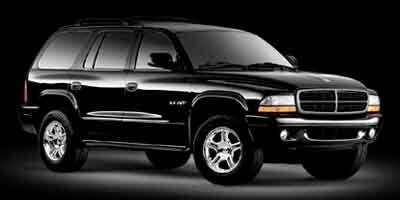 This Dodge Durango delivers a Gas V8 4.7L/287 engine powering this Automatic transmission. Wheel flares, Warning lamps-inc: door/liftgate ajar, low washer fluid, Warning chimes-inc: key-in-ignition, seat belt, headlamps-on. *This Dodge Durango Comes Equipped with These Options *Variable-assist pwr rack & pinion steering, Variable intermittent windshield wipers, Variable intermittent rear window wiper/washer, Tilt steering column, Speed control, Roof rack, Remote keyless entry, Rear window defroster, Rear wheelhouse liners, Rear stabilizer bar. * Stop By Today *Stop by Larry H. Miller Dodge Ram Havana located at 2727 S Havana St, Denver, CO 80014 for a quick visit and a great vehicle! Boasts 25 Highway MPG and 18 City MPG! 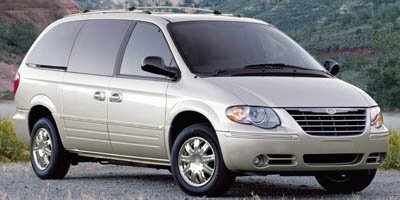 This Chrysler Town & Country LWB delivers a Gas V6 3.8L/230 engine powering this Automatic transmission. SIRIUS SATELLITE RADIO -inc: (1) year subscription, REAR SEAT VIDEO SYSTEM -inc: 2nd row fold-down 7 screen, (2) wireless headphones, video remote control, overhead rail system, Sirius satellite radio, PWR SUNROOF. *This Chrysler Town & Country LWB Comes Equipped with These Options *29P TOURING SIGNATURE SERIES CUSTOMER PREFERRED ORDER SELECTION PKG -inc: 3.8L V6 engine, 4-speed auto VLP trans, Sirius satellite radio w/(1) year subscription, 2nd row overhead 7 video screen, video remote control, wireless headphones, AM/FM/CD stereo w/navigation system, 6-disc in-dash CD/DVD changer, door courtesy lamps, 8-way pwr driver seat, 6-way pwr passenger seat, leather-trimmed heated front seats, premium 2-tone seat accents, woodgrain instrument panel w/silver bezel, leather-wrapped steering wheel, luxury front & rear floor mats, pwr sunroof, silver/woodgrain accent door trim, signature series badge , P215/65R16 ALL-SEASON LBL TIRES (STD), MONOTONE PAINT (STD), LEATHER TRIMMED BUCKET SEATS, IN-DASH 6-DISC CD/DVD CHANGER, FRONT CENTER REMOVABLE FLOOR CONSOLE, EXTRA COST PEARL PAINT, EXTRA COST CRYSTAL PEARL PAINT, AM/FM STEREO W/CD PLAYER & GPS NAVIGATION -inc: in-dash 6-disc CD & DVD changer, 7-PASSENGER SEATING -inc: front bucket seats, 2nd row bucket seats, 3rd row 60/40 bench seat (STD). * Stop By Today *Live a little- stop by Larry H. Miller Dodge Ram Havana located at 2727 S Havana St, Denver, CO 80014 to make this car yours today! Only 147,251 Miles! Scores 25 Highway MPG and 18 City MPG! This Audi A4 delivers a Gas V6 3.0L/182 engine powering this Manual transmission. Wood trim-inc: dashboard, door panel, center console, Variable intermittent windshield wipers w/heated washer nozzles, Torsen torque sensing center differential. *This Audi A4 Comes Equipped with These Options *Tool kit located in spare wheel well, Theft-deterrent AM/FM stereo w/cassette-inc: 6-disc in-dash CD changer, speed sensitive volume, Storage tray under driver/front passenger seats, Sideguard inflatable curtain airbags, Retractable high pressure headlamp washer system, Retractable cargo cover, Remote keyless entry w/panic feature, Rear window defroster, Rear seat lower anchorage & upper tether child seat provisions, Rear outboard (3) 3-point seat belts w/auto tensioners. * Visit Us Today *You've earned this- stop by Larry H. Miller Dodge Ram Havana located at 2727 S Havana St, Denver, CO 80014 to make this car yours today! Only 202,637 Miles! 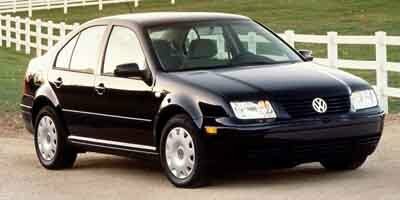 This Volkswagen Jetta delivers a Gas I4 1.8L/108.6 engine powering it's sleek transmission. Velour seat fabric, Trunk side storage nets, Traction control. *This Volkswagen Jetta Comes Equipped with These Options *Tinted glass, Remote trunk/fuel filler door releases, Remote keyless entry, Rear window defroster, Rear heating/air cond ducts, Pwr-assisted rack & pinion steering, Pwr-assisted 4-wheel disc brakes (vented front), Pwr windows w/1-touch up/down feature & pinch protection, Premium AM/FM stereo w/cassette, CD changer control, 8-speaker sound system, anti-theft coding, P195/65HR15 all-season tires. * Visit Us Today *Stop by Larry H. Miller Dodge Ram Havana located at 2727 S Havana St, Denver, CO 80014 for a quick visit and a great vehicle! CX trim. iPod/MP3 Input, CD Player, Alloy Wheels, Satellite Radio, Edmunds.com explains If you're looking for a full-size American luxury car with acres of interior space, the 2008 Buick Lucerne is worth a look.. 5 Star Driver Front Crash Rating. CLICK ME!KEY FEATURES INCLUDESatellite Radio, iPod/MP3 Input, CD Player. MP3 Player, Onboard Communications System.EXPERTS CONCLUDE5 Star Driver Front Crash Rating. 4 Star Driver Side Crash Rating.MORE ABOUT USStop by Larry H. Miller Toyota Boulder and check out the beautiful selection of new and pre-owned vehicles with amazing pricing/ financing options. Our no-pressure, non-commission Toyota-trained Sales team will help you find the perfect new or pre-owned car for your Colorado lifestyle. We are located at 2465 48th Ct, Boulder, CO 80301. (Off Foothills Pkwy and Pearl Pkwy)Please confirm the accuracy of the included equipment by calling us prior to purchase. Thank you for your interest in one of LHM Chrysler Dodge Jeep Ram's online offerings. Please continue for more information regarding this 2002 Chrysler Concorde Limited with 67,261mi.This 2002 Chrysler Concorde comes with a CARFAX Buyback Guarantee, which means you can buy with certainty. A Chrysler with as few miles as this one is a rare find. This Concorde Limited was gently driven and it shows.You can finally stop searching... You've found the one you've been looking for. This is about the time when you're saying it is too good to be true, and let us be the one's to tell you, it is absolutely true. Scores 30 Highway MPG and 21 City MPG! This Dodge Avenger boasts a Gas I4 2.4L/144 engine powering this Automatic transmission. SPORT APPEARANCE GROUP -inc: fog lamps, trunk lid spoiler, SIRIUS SATELLITE RADIO GROUP -inc: leather-wrapped steering wheel w/audio controls, (1) year service provided by Sirius, SIRIUS SATELLITE RADIO -inc: (1) year service provided by Sirius. * This Dodge Avenger Features the Following Options *24L CUSTOMER PREFERRED ORDER SELECTION PKG -inc: 2.4L DOHC I4 engine, 4-speed automatic trans , PREMIUM COST PAINT, P215/60R17 ALL-SEASON BSW TIRES (STD), LUXURY FRONT/REAR FLOOR MATS, LEATHER LOW-BACK FRONT BUCKET SEATS, LEATHER INTERIOR GROUP -inc: heated front seats, leather-trimmed bucket seats, leather wrapped shift knob, leather-wrapped steering wheel w/audio controls, EXTRA COST PAINT, CONVENIENCE GROUP -inc: heated front seats, pwr heated mirrors, pwr front windows w/1-touch up/down, remote start system, 4-SPEED AUTOMATIC TRANSMISSION (STD), 2.4L DOHC DUAL VVT 16-VALVE I4 ENGINE (STD). * See What the Experts Say! *As reported by KBB.com: If you've got a muscle-car mindset but are in the market for the balance offered by a mid-size sedan at an affordable price, the Avenger is the most NASCAR-esque option out there. GLS PZEV trim. EPA 38 MPG Hwy/28 MPG City! CD Player, iPod/MP3 Input, Satellite Radio, Edmunds.com explains Outstanding fuel economy on all models; lots of features for the money; comfortable and well-built cabin; large trunk; long warranty coverage; distinctive styling.. CLICK ME!KEY FEATURES INCLUDESatellite Radio, iPod/MP3 Input, CD Player MP3 Player, Keyless Entry.EXPERTS RAVEOutstanding fuel economy on all models; lots of features for the money; comfortable and well-built cabin; large trunk; long warranty coverage; distinctive styling. -Edmunds.com.WHO WE AREStop by Larry H. Miller Toyota Boulder and check out the beautiful selection of new and pre-owned vehicles with amazing pricing/ financing options. Our no-pressure, non-commission Toyota-trained Sales team will help you find the perfect new or pre-owned car for your Colorado lifestyle. We are located at 2465 48th Ct, Boulder, CO 80301. (Off Foothills Pkwy and Pearl Pkwy)Fuel economy calculations based on original manufacturer data for trim engine configuration. Please confirm the accuracy of the included equipment by calling us prior to purchase.